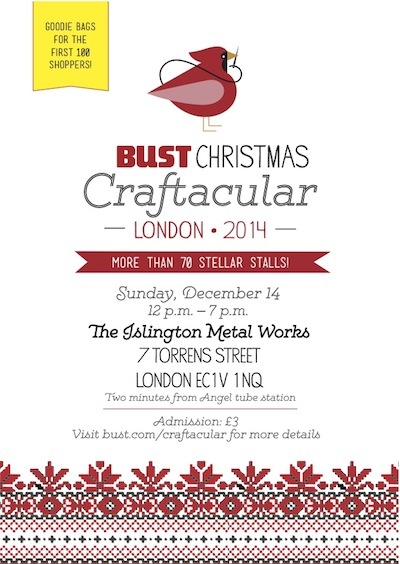 We’re delighted to be back at the Bust Magazine Christmas Craftacular this year. We’ll be DJing festive favourites and making merry at this annual DIY-fest from our favourite grrrl-mag of them all. This year’s unmissable market features 70 stalls and a packed-schedule of workshops and is at the Islington Metal Works, 7 Torrens Street, London EC1V 1NQ from 12 noon until 7pm on Sunday 14 December. Full info below and details of our exact slot to follow! 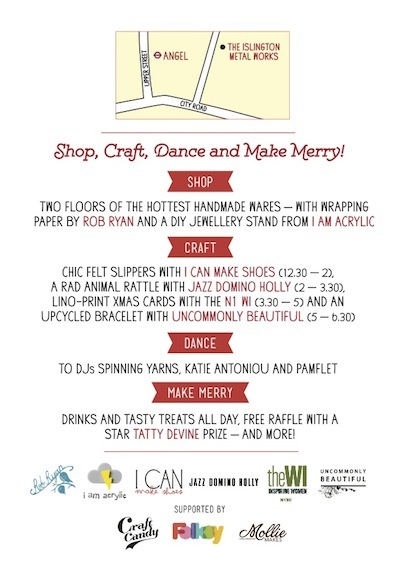 DJing at Bust London Christmas Craftacular this Sunday. COME!, Pamflet gets festive at the Bust Christmas Craftacular, diaries at the ready: 2009 bust christmas craftacular, A View From The Bridge (DJing at the Bust Craftacular), IT’S TONIGHT! Party with Pamflet this Christmas!